Sonoma County Pride (SCP) implements the LOVE program as a way for your nonprofit 501(c)(3) organization to raise funds by sending your volunteers to help SCP during the PRIDE Festival. SCP has instituted this program so you may know in advance approximately how much SCP will donate to your nonprofit organization. LOVE: Lending a hand to our community by volunteering so everyone benefits! Here’s how it works: for every hour your registered person volunteers for SCP, your organization will receive $5.00 an hour in exchange for their services from the distribution of proceeds. Each person will be asked to volunteer for a minimum four-hour shift. That’s $20 to your nonprofit for each completed shift. The more people you send to volunteer at PRIDE, the more SNAPI will donate to your nonprofit. Encourage your volunteers to fill out an application and become a PRIDE Volunteer at https://www.sonomacountypride.org/volunteer/. When filling out their application please be sure they check off your 501(c)(3) nonprofit organization where indicated on the application. Volunteers must register with the LOVE Program and designate your registered nonprofit organization as their intended recipient for the hours to be credited accordingly. 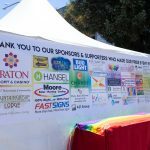 A donation check will be issued to your organization on or before the next Annual Meeting following the PRIDE Festival. If your volunteer works for an employer that offers a matching program for donations to Non-profit organizations, SCP will give the matching funds to your nonprofit organization. Your volunteer will be asked in advance of any employer reporting requirements. IMPORTANT: Only 501(c)(3) nonprofit organizations are eligible to receive proceeds from SCP. Nonprofits must complete the registration application below in order to be considered for SCP’s LOVE Program. Nonprofits must show most current proof of active 501(c)(3) status and most current financial records. Nonprofits must be approved by the Board of Directors before any monies are distributed. Nonprofit leads must attend a meeting before the festival. Meeting will be announced at the discretion of the Volunteer Committee Chair. Only registered LOVE Program volunteers who complete a minimum of one 4-hour shift are eligible to earn funds for registered nonprofit organizations (volunteers must check in and out for every shift they work in order to have their hours credited accordingly). For additional information, please e-mail volunteers@sonomacountypride.org. Disclaimer: Donations to 501(c)(3) nonprofit organizations may not be made in the event activities/events are cancelled due to extreme weather or other circumstances beyond SCP’s control. Distributions of LOVE Program funds occur after all other financial obligations of SCP have been met.